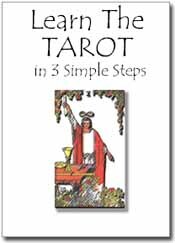 Book: "Learn The Tarot (In 3 Simple Steps)"
My book on reading the Tarot. Contains insights into the Major and Minor Arcana, some common Tarot myths, and developing your psychic and personal power. 24 pages. Price includes shipping to continental USA.